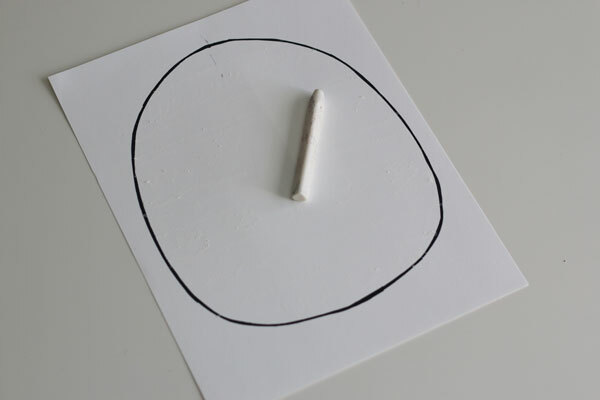 First, begin by making the template for the egg. 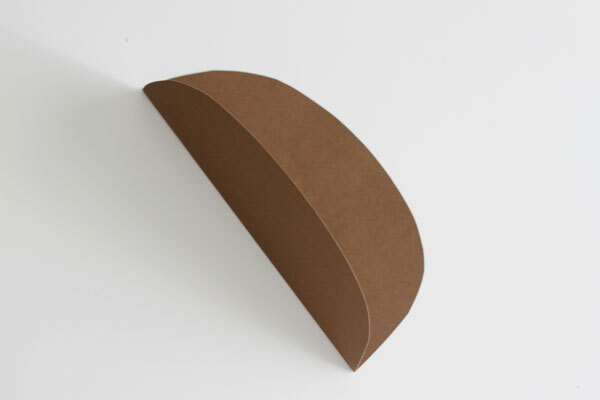 Fold the brown (or any color) cardstock in half length wise and cut a half egg shape with the craft scissors. Unfold and you’ll have a nice, symmetrical egg. 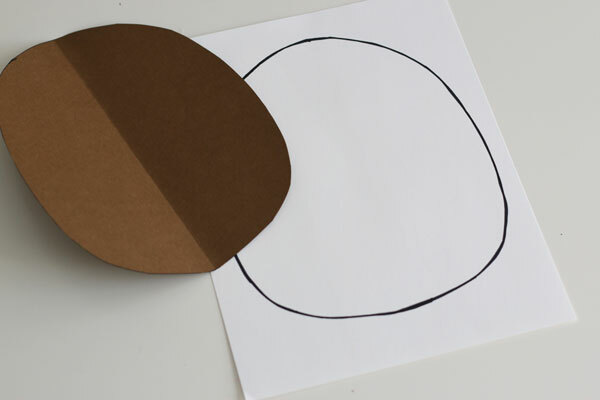 Now place the template over the white cardstock and trace with permanent marker. 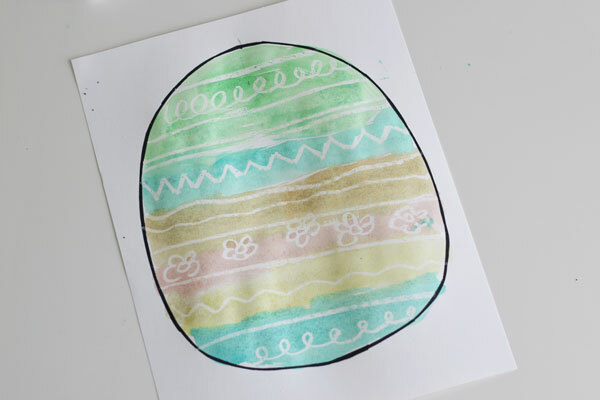 Next, with the white crayon draw designs and patterns right over the egg. 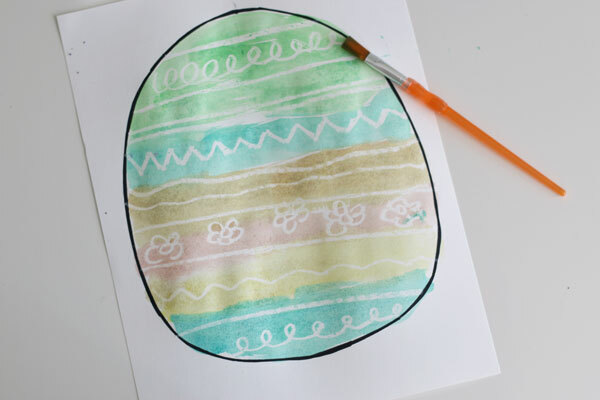 Using the watercolors paint over the egg to reveal the patterns! How cute and Spring-like does this Easter egg look? Adorable! I think my granddaughter would love this! As soon as she gets home from school today I am going to share this with her! TFS!